2 BEDROOM SUITE WITH JET TUB. Есть вопрос для Shewe Wana Boutique Resort & Spa? Shewe Wana Boutique Resort & Spa это идеальный выбор для тех путешественников, кто хочет погрузиться в атмосферу Чиангмай. Отель находится недалеко от центра города: всего в 2 km, и обычно дорога в аэропорт занимает около 20 минут. Райский уголок, где гости найдут все, для того, чтобы полноценно отдохнуть и расслабиться, после осмотра достопримечательностей, расположенных в непосредственной близости, например таких, как Талат Сан Пакой, Kawila Boxing Stadium, Sayuri Massage Complex. Предлагая гостям превосходный сервис и широкий спектр услуг, Shewe Wana Boutique Resort & Spa стремится к тому, чтобы сделать ваше пребывание в отеле максимально комфортным. Отель предоставляет бесплатный Wi-Fi в номерах, Wi-Fi на территории, парковка, обслуживание номеров, трансфер, чтобы обеспечить нашим гостям максимальный комфорт. Уникальная атмосфера в Shewe Wana Boutique Resort & Spa находит свое отражение в номерах. телевизор с плоским экраном, Wi-Fi, Wi-Fi (бесплатный), джакузи, номера для некурящих лишь некоторые из удобств, которые находятся в вашем полном распоряжении. Помимо широкого выбора услуг для отдыха, предлагаемых в отеле, у вас останется много возможностей развлечься не выходя из отеля. Независимо от цели вашей поездки, Shewe Wana Boutique Resort & Spa является отличным выбором во время вашего пребывания в Чиангмай. довольно далеко и от ночного рынка, и от старого города. мне показалось неудобное расположение, учитывая что идти к центру про улице, на которой ремонтируют байки и прочую технику. такой себе авторынок. сам отель очень приятный, вежливый персонал. высокий ценник на еду и спа. дизайн комнат очень на любителя. мне не понравился холодным серым цветом цементных полов. в саду постоянно разбрызгивали средство от москитов, пахнет как бы тропическими цветами, но для людей с аллергией ужасно. Shewe Wana never fails to make my stay the happiest! Every time I return to Chiang Mai, I make sure I stay here. Over a course of eight years, the service has never deteriorated. The staff are friendly, attentive and take good care of our needs. Am glad to see the breakfast menu expanded and to see a cafe next to the hotel. Overall, I am glad to always stay here whenever I arrive in Chiang Mai! Highly recommend this traditional , beautiful hotel. Staff exceptional, breakfast the very best. We stayed 3 nights and extended our stay by one night to 4. Great location, quiet but able to walk in to city or get free shuttle. Lovely riverside restaurants and bars with live music. Sunday night market an experience.. must do. Had amazing 2 hour spa treatments at hotel on first day - perfect after long haul flight. Best treatments ever had! 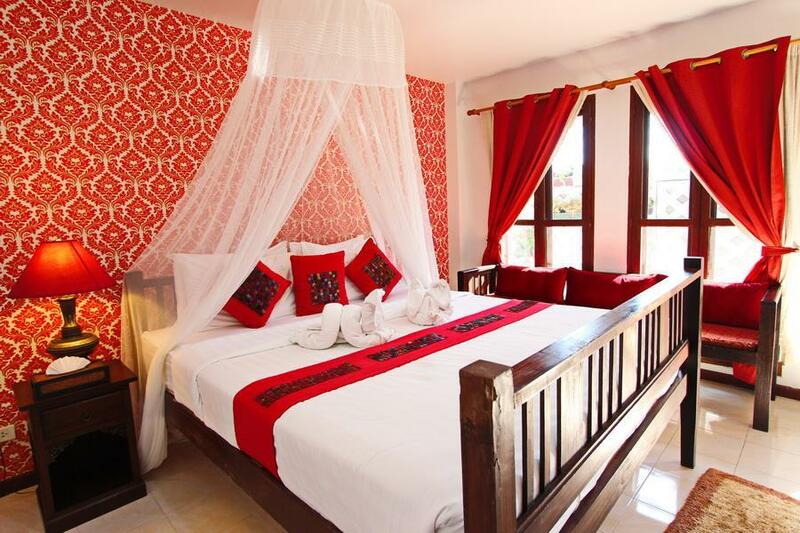 Rooms and attention to detail offer a homely luxurious stay. Only negative is the 2 pools are very shaded but lovely and quiet, just need to time it right to get sun. Highly recommend the shewe experience. We were travelling as a couple but they upgraded us to a 2 bedroom suite which was very large and beautiful. Location is good and they offered a free one way transfer to near the night markets etc. Breakfast was good but maybe could have done with a little more of a varied selection. Staff were very polite,helpful and friendly at all times . Thanks to Joy, the owner, and her amazing team. We have never felt more genuine concern for our every need and wish than we did at at their establishment. 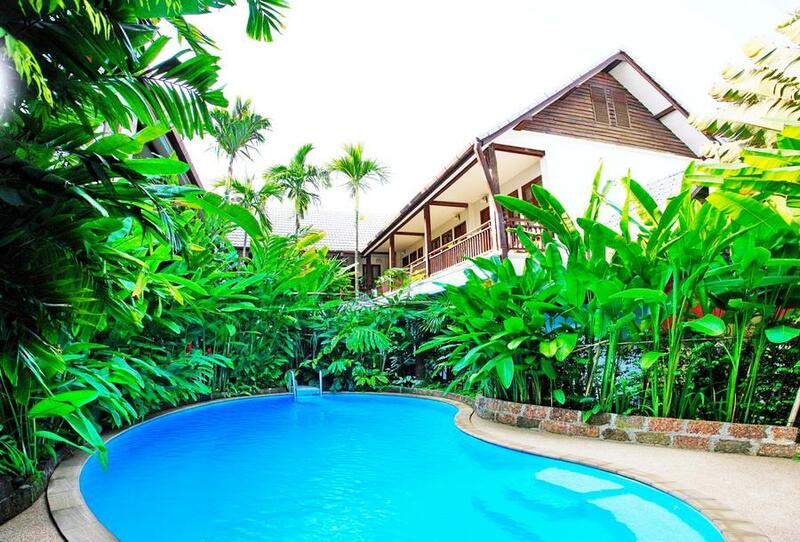 Shewe Wana is an oasis tucked away just east of downtown Chiang Mai. 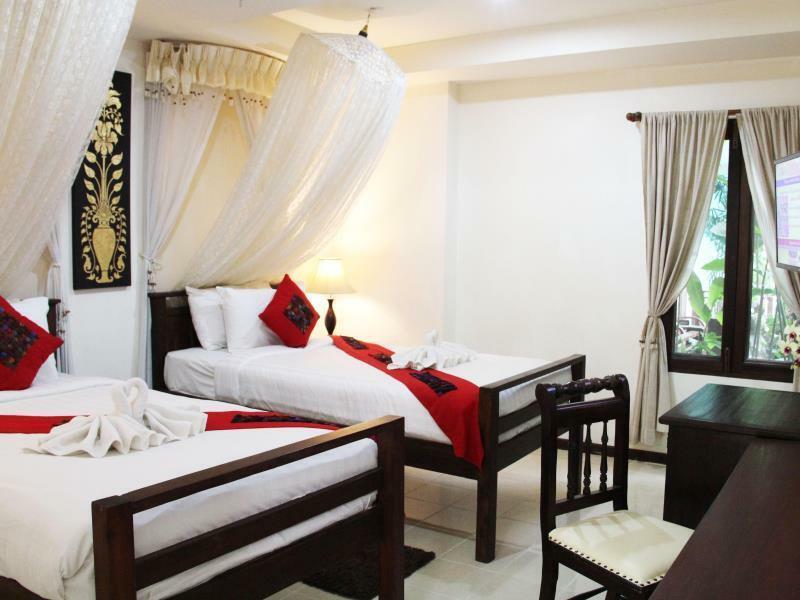 The rooms are elegant and spotless, the food is wonderful and the staff is second to none. Location is about 15-20 min walk to the night market, bars restaurants and walled city but the hotel runs a shuttle service hourly. The staff at this hotel cannot do enough for you, they are very friendly, polite and courteous , nothing is too much trouble. The food is reasonably priced and delicious. They offer a free transport to or from the airport. Loved this hotel and the staff were so friendly and accommodating. We got a free upgrade and were very happy with Shewe Wana overall. A bit of a walk to the city centre but super easy to get around. The complimentary breakfast was the best of all time :) Thank you so much! I can’t say enough how much we loved our stay at Shewe Rana. Our room was so beautiful, clean and comfortable. It’s a great location being so close to Old Town and the Night Bizarre but with enough distance that it was peaceful and quiet at night. The tuk tuk into the city was so convenient and walking back was easy. The food at Shewe Rana was some of the best Thai food we’ve ever had but hands down the best part of our stay was the helpfulness and friendliness of the staff. From the moment we arrived to the moment we left all of our needs were taken care of. They packed us a breakfast when we left early in the morning on an excursion and then made up a room for us to shower after we returned even though we had already checked out. They did so many other thoughtful things it would take pages to list. I’ll recommend this hotel to anyone visiting Thailand and I hope to return myself. Staff were very friendly and attentive to details, breakfast was fabulous, room was clean and there was absolutely nothing negative to pick on for this place. I would definitely come back here if I were to visit Chiangmai. We traveled around Thailand for some weeks. At this place we met the friendliest people and a personal who took care for us. Everybody smiled the whole time und the breakfast was very good. At the hotel it is possible to relax at one of the two pools, hanging around and enjoying the weather in a quiet atmosphere. Otherwise you are next to the city, the market and many restaurants. So you can walk for exploring Chang Mai. We like to come back to Chiang Mai for spending some time in this wonderful and peaceful accommodation. We had 9 nights at Shewe Wana, and just loved it. The hotel was built 80 years ago and as lots of character and so many lovely little surprises. The staff was amazing, helpful and friendly. Food was good and cheap. The hotel is a little outside the centre of Chiang Mai (about 2km) but provide free transport in, and tuk tuks and taxis back are very cheap. One pleasant surprise was that both pools were refreshingly cool. We would definitly go back. We stayed at the Shewe Wana Hotel for one night and wished we could have stayed longer. The hotel is beautifully decorated and the grounds are so lush and peaceful. It's hard to believe you're so close to the old city. But what makes the Shewe Wana so special is the kindness and attentiveness of the staff. The breakfast was delicious . Unfortunately we didn't have enough time to enjoy the spa but it looked great. I highly recommend staying here. You won't be disappointed!! We had the best stay in while traveling in Thailand. We couldn't be more pleased with the location, staff, breakfast, etc. I honestly wish I could give it more than five stars, it made our stay in chiang mai so wonderful. Shewe is a nice local hotel with beautiful surroundings and rooms, the breakfast is amazing with a la carte specialities. The staff is out of this world, customer focused and nothing is too much for them. One small hicup is the location, not much going around but 15 min walking you have the night bazar with all the entretainment you need... try the local restaurant near by where locals go the food is amazing and 1/4 of the price elsewhere... highly recommended. An oasis close to the old city ,great restaurants(Good View,Riverside,River Market),night market. Staff were helpful and friendly. We used the shuttle to the old city and night market every day. Enjoyed our veranda -especially on the rainy days. Pools looked nice (didn't use them due to rain ).enjoyed breakfasts by the garden and the artistic cappuccino ! Amazing staff, who couldn't do enough for you. Helped book our bus for our onward journey to Chiang Rai and our trip to the Elephant Nature Park. Yes it's a little way out of the old city but I personally like the walk and on occasions when we didn't want to walk we got the hotel "tuk tuk" shuttle. Rooms were quiet, clean and comfortable. We had room 25 which was at the back corner. I loved this hotel. It is adorable. We were only supposed to stay one night but extended our stay to three. The staff speaks great English and is very helpful. Breakfast is fantastic. They even have soy milk. Great hotel absolutely beautiful with the best staff I've ever had the pleasure of being served by. Very professional courteous and quite knowledgeable about activities locations and various transport in and around the city. Would definitely stay again. Only issue is the strength of the ac, the doors do not cover the entire entrance when closes so quite a lot of leakage. Apart from that recommend recommend recommend! !